A Control4 smart home seamlessly integrates all the electronic devices in your home in to one, easy to use system. 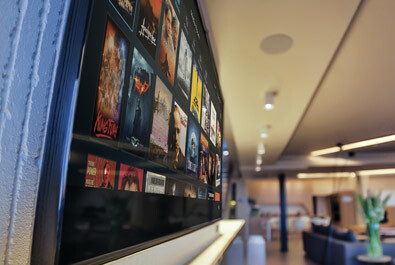 Audio, video, lighting and heating all work in harmony, personalised to suit your lifestyle and the way you live. Since 2004 we have been working with property owners, interior designers and architects, designing and installing audio visual and home automation solutions that integrate discreetly and seamlessly in to our clients homes. We work with clients throughout Kent, Surrey, Hertfordshire, Berkshire, Essex and the South East of England including London, Oxted, Westerham, Sevenoaks, Tunbridge Wells, Canterbury, Brighton, Epsom, Woking, Weybridge, Warlingham, Woldingham, Chelmsford and the surrounding areas. Our friendly team is just a phone call away, we are more than happy to discuss your project ambitions and help you achieve your smart home dreams. Call us now on 01732 807 579 and ask to speak to one of our Control4 specialists. Find out more about the services we offer and how you can make your home a Control4 smart home. A Control4 multi-room audio system integrates seamlessly in to your home, allowing you to access and stream millions of songs in high resolution to one room or every room. Listen to your favourite playlist in the lounge while the kids listen to theirs in the snug, all accessible and controlled via your mobile device, touch screen or TV. Watch high-definition video in every room of your home, eliminate all the cables behind your TV, bulky components and a table full of remotes. 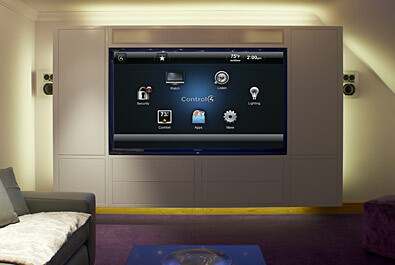 With Control4 multi-room video, everyone can enjoy the same movie or watch what they want in any room of the house. With the touch of a button your blinds close, the lights dim and all your AV equipment kicks in to action. All that is left to do is sit back, relax and enjoy your favourite movies in stunning high definition. Welcome to the ultimate cinematic experience, all in the comfort of your own home. Smart lighting solutions from Control4 add elegance, ambiance, convenience and energy efficiency to your home. Get started with the magic of lighting control in one room, or brighten up your entire house, make your house appear occupied while you are away, or have your lighting respond automatically to how you live. It’s not just smart, it’s brilliant. 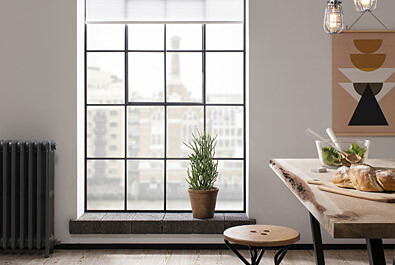 Simple, elegant and personalised to you, Qmotion wireless blinds integrate seamlessly with Control4 and your lifestyle. Automate each of your blinds to drop and rise at certain times throughout the day, or control them from a wall-mounted keypad, touch screen or your mobile device. Qmotion blinds help to save energy and provide an extra level of security for your home. And best of all, there’s no wires! Pakedge networking products from Control4 are designed specifically for the connected home. Superior wireless performance and incredible high speeds eliminate jitter and buffering issues often associated with audio and video traffic. As you add more devices, subscribe to more services or add more users in the home, Control4 provides an always-on foundation for your connected lifestyle.